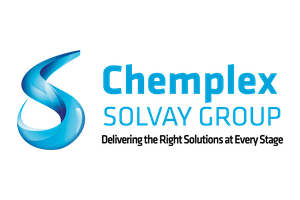 Chemplex Solvay Group provides companies in the oil and gas sector with quality, specialty chemicals to meet specific location needs in cementing, stimulation and acidizing providing them with a distinct competitive advantage. Headquartered in Snyder, TX, Chemplex Solvay Group and has a presence in each major US market to provide service and delivery, 24/7 technical support; including operating labs in the Permian Basin, Eagle Ford, Barnet, Bakken and Marcellus shale formations. Chemplex Solvay Group is committed to the safety of our employees, our communities and the environment. Chemplex Solvay Group’s facilities operate at the highest level of safety in the industry and to ensure safe product handling and application in the field, Chemplex Solvay Group also provides in-depth training for clients as well as the local first responders and firefighters. Chemplex Solvay Group’s experienced and knowledgeable team of scientists innovate quality chemical solutions and help oilfield companies find efficiencies at each location, enhancing our clients competiveness by reducing risk, lowering costs and maximizing profits.